Do you remember chia pets from when you were a child? I don’t think I ever had one, but I remember a friend did and I found it fascinating… here was this small clay thing that within days was covered with green sprouts – all because of a few seeds and water. But Chia is not new by any stretch of the imagination. In fact, think back as far as you can… then go a little further. This little superfood has been promoting good health for a very, very long time. 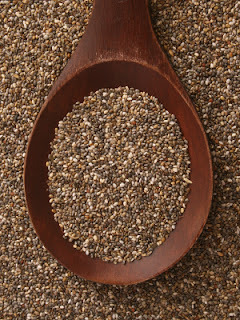 The Aztecs, Mayans and Incas – great civiliations from South America – considered Chia Seeds to be prized medicinal food. Offering up energy and endurance. Did they have the science back them to explain why they loved chia so much? Well, no… but they didn’t need to. After trekking in Inca Trail last year I realised, no I felt, that this civilisation was incredibly ‘connected’ with mother nature or Pacha Mama as they called her. They instinctly knew what life-giving properties were found in nature’s finest… and they used it in harmony with the earth. Now, of course, we are all much less connected. In fact, we often don’t know where our food has come from. However, we do have science. 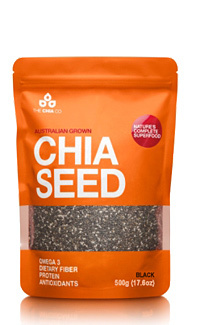 And it is this science that has helped us to understand the power of Chia. 1) Richest source of plant-based omega 3 fatty acids. In fact, 85 times more than olive oil. Omega 3s are important for a healthy heart, blood circulation, cellular structure, inflammation and effective brain function. A MUST! It’s not just dairy that provides calcium, in fact other sources do a better job! Not convinced yet? Try this delicious recipe and then let me know! Grind linseeds, sunflower seeds, chia seeds and sesame seeds together. Keep aside 1 tbls each of the chia seeds + coconut. Refrigerate before serving or freeze for safe keeping! That’s it from me and my chia crusade. Just an FYI – this is the brand I buy – locally produced in Australia! 2) When using it in smoothies or dressings add a little water first so the seeds activate and expand.